The truth is most Americans could stand to eat a little healthier. Whether or not that’s true in your household, almost everyone enjoys the taste of fresh food. 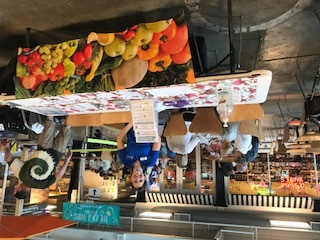 The Crim Fitness Foundation makes its presence known in a booth at the Flint Farmers’ Market to help remind shoppers and visitors of the fresh food choices available there. 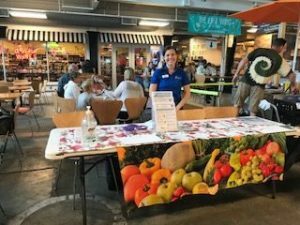 Crim staff gives advice about the benefits of nutrition and ways to incorporate fruit and vegetables into daily diets. Crim sponsors the booth every Tuesday in winter, and every Tuesday and Thursday during summer. 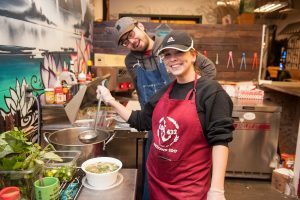 The organization even takes advantage of one of the market’s demonstration kitchens on the first Tuesday of each month to demonstrate healthy recipes for the public. Free samples follow the demonstration. “Even if my coordinators aren’t chefs, you will be by the end” of the presentation, says Crim Nutrition Program Manager Mackenzie Thrower. The program has been going on since Crim first received the federal SNAP-Ed (Supplemental Nutrition Assistance Program Education) grant, almost a decade ago. 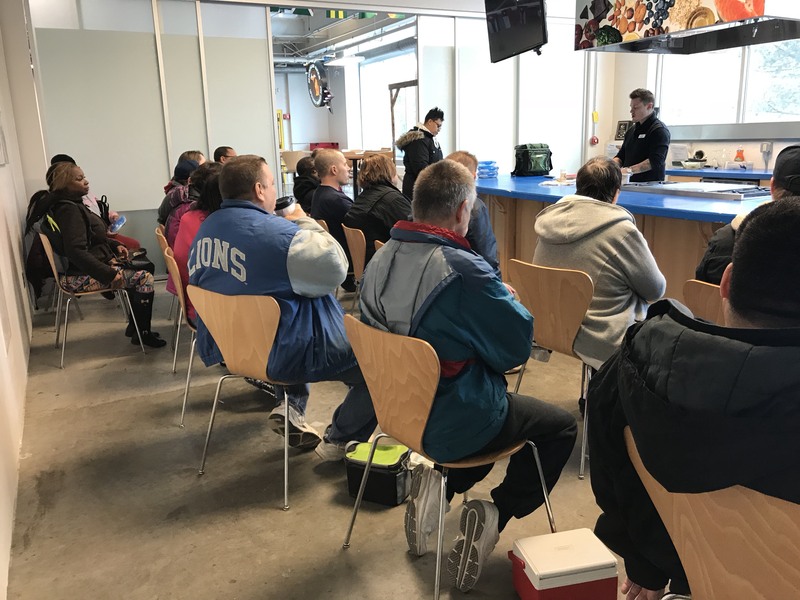 Guests who participate in the cooking demo get a fast lesson from the program coordinators. There’s a new recipe every month. Flint Farmers’ Market is just one of many schools and neighborhood venues where Crim spreads its message promoting healthy nutrition and exercise. The market is, however, one of the more traffic-heavy locations for potential program participants. But boosting numbers is always Crim’s goal where healthy activities are concerned, especially since attendance at Flint Farmers’ Market is open year round, even during the winter months. “Increasing participants has been a goal this year,” Thrower says. 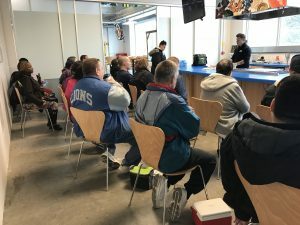 Flint Farmers’ Market provides a good setting for the Crim’s presentation since there are more than 50 vendors of poultry, cheese, Middle-eastern and Mexican groceries, a meat deli and other local food distributors at the downtown site. 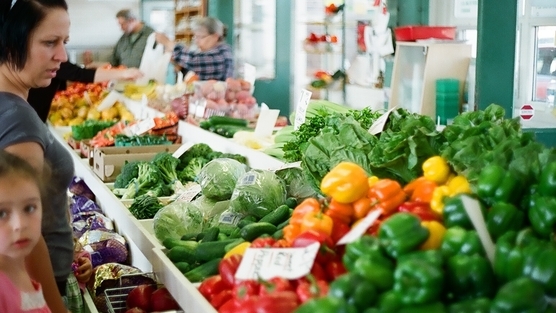 While shopping for healthier items can be more challenging at times, there is some good news for Bridge Card-holders who visit Flint Farmers’ Market. The location is one of more than 4,000 retailers in the state that accepts Bridge Cards for grocery purchases. Another offering at the market is Double-Up Food Bucks, which lets families receiving food assistance buy as much as $20 in produce to take home an equal amount in addition to what they’ve purchased. While it’s called Flint Farmers’ Market, you don’t have to wait until the harvest to get healthy, since it’s open every Tuesday and Thursday from 9 a.m. to 6 p.m., and Saturday from 8 a.m. to 5 p.m. throughout the year. We might not always eat as well as we should, but the Crim and Farmers’ Market are doing their part to make healthier diets a less bitter pill to swallow. Buy milk or fresh, frozen, dried, or canned fruits and vegetables (with no added salt, sugar, or oil) with your Bridge Card at any participating site and earn a dollar-for-dollar match in free Double Up Food Bucks. They can be spent on any fresh fruits and vegetables at that store or other participating sites in Flint. You can earn up to $20 every time you shop with all Double Up points stored on a card and you can use your Double Up Food Bucks all year long. Have questions? Please call 866-586-2796. Where Can I Double Up? Flint Fresh Mobile Market Mobile market locations and times vary daily.